Chipotle Mexican grill has temporarily shut down one of its restaurants in Ohio following customer reports of illnesses, the chain said on Monday. As of Tuesday morning, 105 Illnesses with symptoms such as nausea and diarrhea were reported on the website iwaspoisoned.com, suggesting that more than 170 customers have fallen sick after eating at a Powell, Ohio, Chipotle since Sunday, according to Patrick Quade, the website's founder. Chipotle also told health officials that two to five staff members requested time off on Sunday and Monday due to illness, according to Business Insider, which first reported the incident. On July 26, local health officials inspected the Powell, Ohio Chipotle and found violations related to food not being held at proper temperatures. The restaurant's address is 9733 Sawmill Pkwy. “We acted quickly and closed this single restaurant out of an abundance of caution and we are working with the local health officials to reopen this restaurant as soon as possible,” a Chipotle spokeswoman said in a statement. 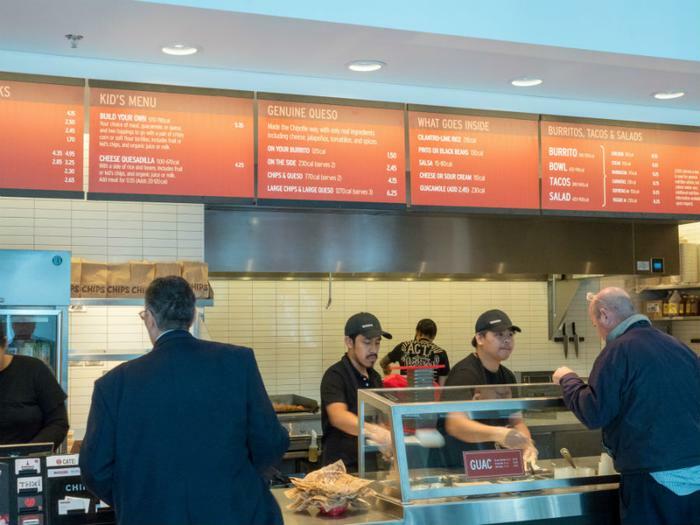 Chipotle is still dealing with the financial impact from the 2015 E.coli outbreak, during which the chain had to temporarily shut down more than 30 stores in six states after health officials traced E. coli to a common ingredient in its food. The outbreak led to a federal investigation, as well as the implementation of new safety standards and food-handling procedures. The burrito chain said it would have its beef cooked at a centralized location to kill off any rogue bacteria, then have it shipped to restaurant locations in sealed bags. Although there is currently no indication that the outbreak has affected consumers in other states, Chipotle's stock fell nearly 4 percent after news of the closing of the Powell location. Chipotle said it planned to reopen the Ohio restaurant on Tuesday after it deep cleaned the restaurant and removed all exposed foods and single-use equipment, pending approval from the local health department.